This is terrible. 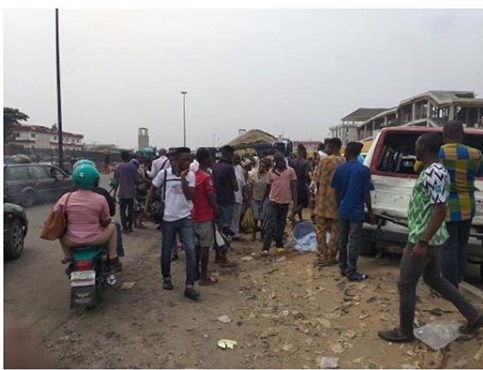 A mother and her child were killed on Monday evening in Oshodi area of Lagos, after being hit by an overspeeding tipper. It was due to suspected brake failure. Information gathered revealed that the tipper filled with sharp sand, had experienced brake failure before knocking down the sachet water hawker and her child, killing them instantly. A scene was created in the area as passersby and road users lamented over the incident.